(Reuters) - The U.S. military released the names on Saturday of eight of nine soldiers who were killed this week when their vehicle overturned in flood waters in Texas. 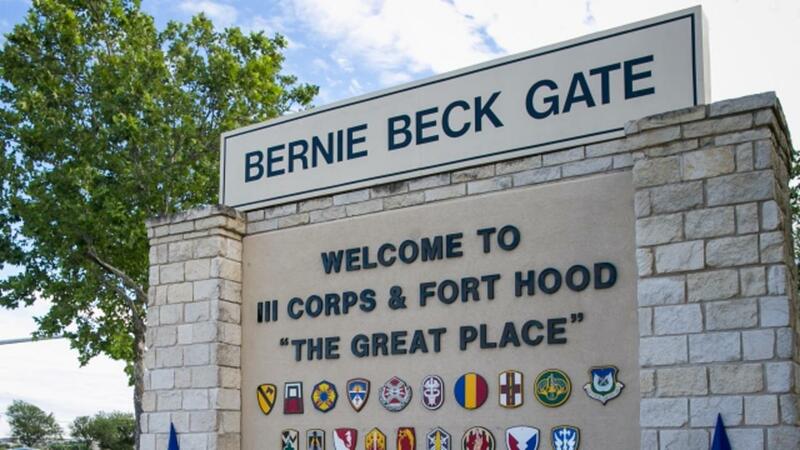 The soldiers died when their military vehicle flipped over in a flood-swollen creek on Thursday at Fort Hood Army post in central Texas. Three survivors were released from hospital on Friday. Among those killed were Staff Sergeant Miguel Angel Colonvazquez, 38, Specialist Christine Faith Armstrong, 27, Private First Class Brandon Austin Banner, 22, Private First Class Zachery Nathaniel Fuller, 23, and Private Isaac Lee Deleon, 19. Private Eddy Raelaurin Gates, 20, Private Tysheena Lynette James, 21, and Cadet Mitchell Alexander Winey, 21, also died in the accident, the circumstances of which remain unknown, pending an investigation by a team from the Army Combat Readiness Center in Fort Rucker, Alabama, the Fort Hood base said in a statement. The vehicle overturned at a low-water crossing and military officials have not said why the convoy was training near a swollen waterway. The sprawling army post, which covers an area about 15 times larger than Manhattan, was closing flood-hit roads when the accident took place. The identity of the ninth soldier killed will be released after the next of kin are formally notified. Torrential rains over the past week have deluged hundreds of homes and led to prison evacuations in the area. At least seven other peopled died in weather-related incidents.